Situated in Brookby, South Auckland, we are 5 minutes from the motorway, 10 minutes from Manukau City and easily commutable to and from Auckland City. 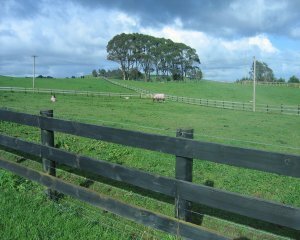 We offer 50 acres of well fertilised, post and rail paddocking with electric out-riggers for your horse's safety. Either individual or small group (2 or 3) paddocking is available. We have 10 stables and covered yards and offer full stabling care of your horse, including being fed and mucked out twice a day. We offer full-agistment, where we feed out and take care of your horse's needs daily through to people who want to do that for themselves. We live on the property and all horses are checked daily. Many of our clients, who work or who have school/uni in the city like us to school their horses during the week to keep them fit for competition or to keep their schooling/ education at a high level. This service is catered to the individual where we are happy to school our client's horses anywhere from just one day a week that suits them through to five days a week. As we are experienced in breaking in and working with horses with behavioural problems, we have also specialised in offering this service to people who have a difficult horse they are trying to get back on track. 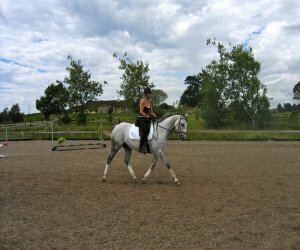 Even at just once or twice a week this schooling makes a huge difference for the owners who would otherwise have a horse they would be frightened to work with, giving them peace of mind, a safe supportive environment and a happy confident horse to ride. 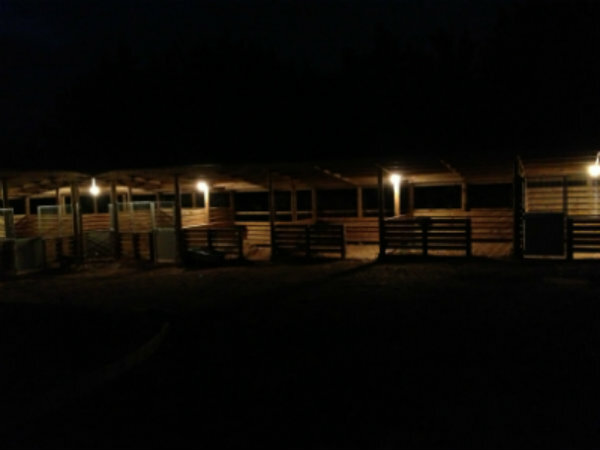 Our facilities that you are welcome to use include a 60 x 40m beach shell and sand arena with show jumps, a 20m round pen with rubber chip, open yards, an indoor concrete shed with tie ups, tack room, feed room and wash bay. 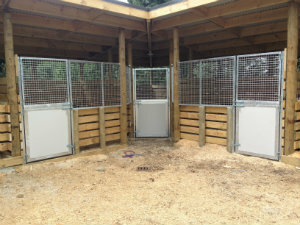 We also have a block of 10 stables and covered yards in a sheltered paddock, with automatic water feeders on a soft sawdust base for your horse's comfort. It is here that we offer our rehabilitation services for horses post surgery or with serious injury that require boxing 24/7. There is exceptional hacking all within a 10 minute drive in Brookby with beach, forest and hill riding. We take a truck load out at least once a week and are always happy for our grazers to come along too so we can show them the great tracks and best places to hack. The horses simply love it! Grazing is $10 + GST a day ($70 + GST a week). Hay is fed out at $5+ GST a day and hard feed additional. We also welcome wet mares for grazing at $15 + GST a day, including hard feed. Please see our Stud Services section if you would like to foal your mare with us.